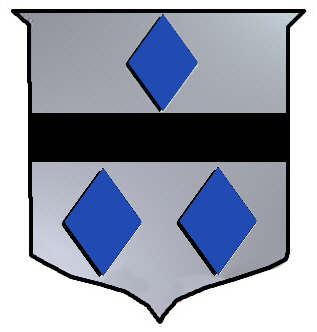 Coat of Arms: Silver with a horizontal stripe between three blue lozenges. Motto: Heb Dduw heb Ddym, Duw a Dygon. From the Celtic land of Wales came the name of parry. This name initially evolved from the personal name Harry. 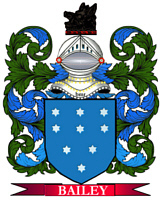 The surname parry features the distinctive Welsh patronymic prefix ap-. The original form of the name was or ap-Harry, but the prefix has been assimilated into the surname over the course of time and the overall spelling has sometimes been extensively altered. Spelling variations include: Parry, Parrey, Parrie and others. First found in Carnarvonshire where they were seated from early times and their first records appeared on the early census rolls taken by the early Kings of Britain to determine the rate of taxation of their subjects. Some of the first settlers of this name or some of its variants were: Anne Parry settled in Virginia with her husband in 1637; along with Anthony in 1653; Davey in 1663; Edmund 1654; Elizabeth 1654; Henry 1663; Hugh 1663. The name perry was carried to England in the enormous movement of people that followed the Norman Conquest of 1066. The perry family lived in Hampshire. Their name, however, is a reference to the Old English word perie, meaning pear tree, and indicates that the original bearer of the name lived near such a landmark. Spelling variations include: Perry, Perrie and others. First found in Hampshire where they were seated from very early times and were granted lands by Duke William of Normandy, their liege Lord, for their distinguished assistance at the Battle of Hastings in 1066 A.D. Some of the first settlers of this name or some of its variants were: Thomas Perry who settled in Virginia in 1635; Elizabeth and Edward Perry settled in Virginia in 1637; Eben Perry settled in Boston Mass. in 1767 with his wife and two children. 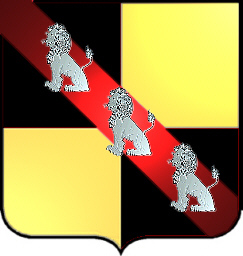 Coat of Arms: A shield divided quarterly gold and black on a red bend three silver lions. Crest: A hind's head emerging from a crown, holding in its mouth a pear tree sprig. Motto Translated: While acting uprightly I am confident.